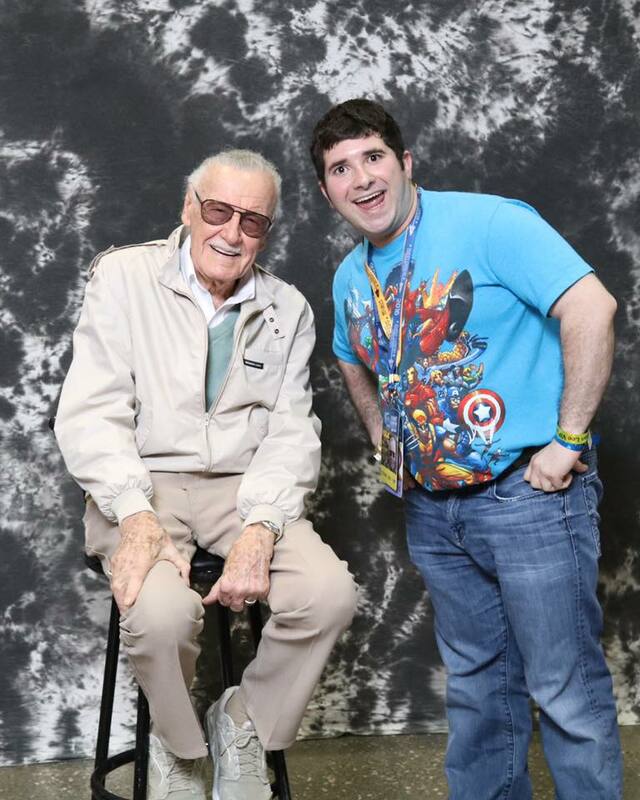 It is with great sadness that I have to report the death of Stan Lee. Countless media outlets such as NBC News, NPR, The Hollywood Reporter, and TMZ reported that the pop culture icon passed away at 95-years-old at Los Angeles’ Cedars-Sinai Hospital. The legendary writer (whose real name was Stanley Martin Lieber) left behind a massive legacy as he helped co-create some of the greatest superheroes of all-time for Marvel Comics (formerly Timely Publications and Atlas Comics). Thanks to his partnerships with Jack Kirby, Steve Ditko, Bill Everett, and his younger brother Larry Lieber, Stan Lee co-created a plethora of superheroes such as the Fantastic Four, Iron Man, Daredevil, Spider-Man, Black Panther, Thor, and the founding members of the X-Men. Pop culture aficionados devoured Lee’s tales about these superheroes, as they dealt with real-life issues while facing off against villains such as Doctor Doom, Doctor Octopus, the Green Goblin, the Kingpin, Loki, and Magneto. These adventures were the foundation to numerous animated series, live-action films, theme park attractions, and a Broadway musical. During the last years of his life, Stan Lee took a well-deserved victory lap as he interacted with hundreds of thousands of fans at numerous pop culture conventions. It was at these Comic-Cons, where he shared countless stories of his life, signed autographs, and posed for pictures with his fans. Also, he also made countless cameos throughout the various Marvel films. From playing Willie Lumpkin in the 2005 film Fantastic Four to talking to the Watchers in the 2017 film Guardians of the Galaxy, Vol.2, fans eagerly tried to find the legend in the various films. However, Lee’s final years were also filled with legal matters as a legal team filed a $1 billion lawsuit on his behalf against POW! Entertainment, a company that he used to own until it was sold to the Hong Kong-based Camsing International. The Hollywood Reporter revealed that in June that the Los Angeles Police Department looked into claims that he suffered from elder abuse. Stan Lee also amassed various accolades throughout the latter half of his life. He was inducted into both the Will Eisner Hall of Fame in 1994 and the Jack Kirby Hall of Fame in 1995. President George W. Bush awarded him the National Medal of Arts in 2008. On July 14, 2017, the Walt Disney Company named him a “Disney Legend,” and four days later, his handprints, footprint, and signature were forever immortalized outside on the TCL Chinese Theatre’s sidewalk.